Today's thoughts are for Two Writing Teachers' Slice of Life. Check out their website for lots of great reflections on teaching. to insist they "shape up,"
to trust that children are still learning right from wrong? Is this too much to ask of adults? To learn this new voice, new approach? It seems such a small thing. But it has huge repercussions in a classroom. Another awesome engineering opportunity for the Big Cats!! Could we create something that would keep an egg from cracking, if it was dropped from a high wall? 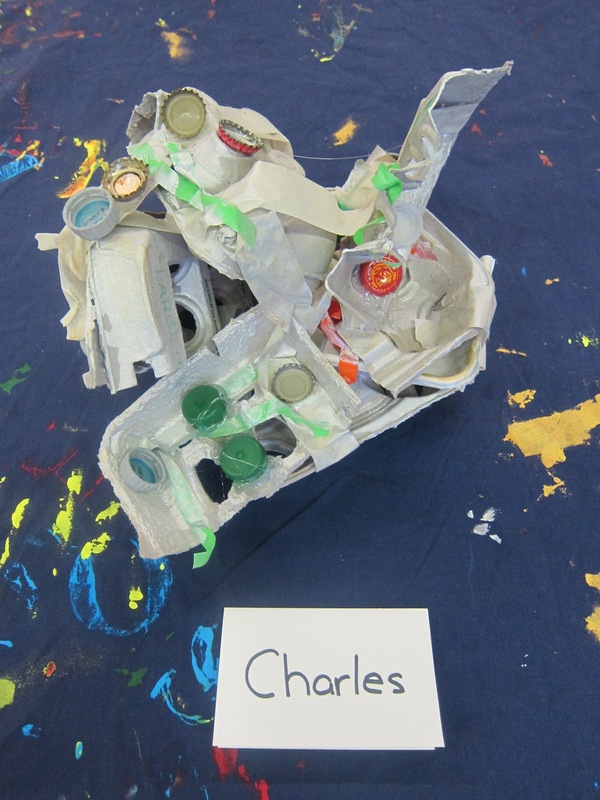 All children used recyclables and found materials for their devices. 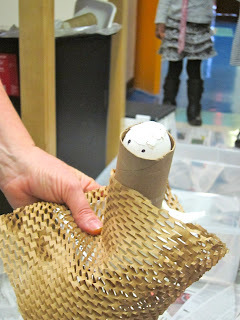 We discussed how to keep the egg safe. still others did a combination of these ideas. 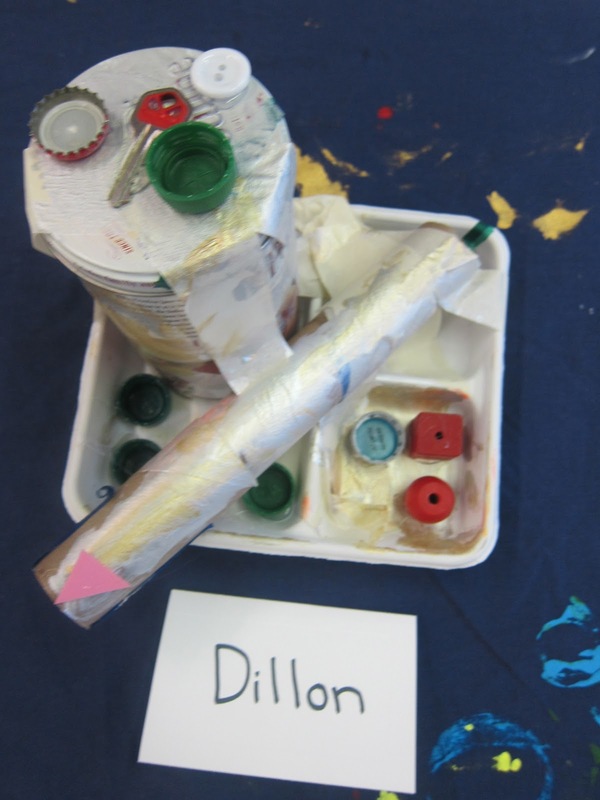 I placed a raw egg in the center of the engineering table to help the children "size" their devices as they built. realized it wouldn't fit in his device. 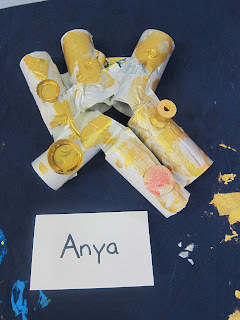 Anya placed the egg inside her device and said "See, it hides right inside." was elated when it fit - "Yeah, he does!" 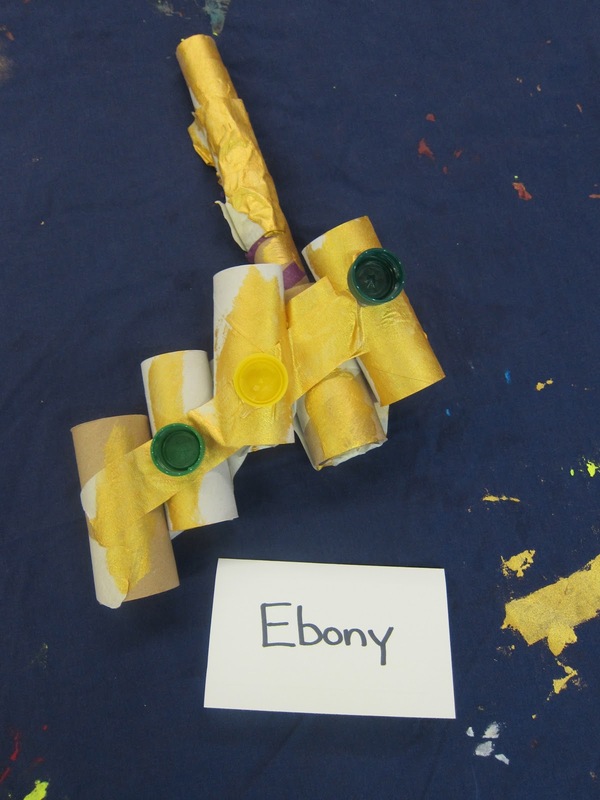 The children were thinking like engineers. One preschooler burst into tears when she realized the egg wouldn't sit in her device at all. I encouraged her to take a break, and we sat together, revisiting the chart about the engineering cycle - "See, if it doesn't work the first time, you try again...that's what engineers do." A couple of minutes later, she was ready to try again - this time she was successful, creating a triangular device for the egg to sit in. When all the children had finished their devices, we tested them. We gathered in the hallway, outside our classroom at a special test site. a makeshift high wall created from a large plastic storage bin on top of a high table. to catch the device with the egg. placing the device onto the edge of the bin at the edge of the table. the device would be thrown away. all eyes on these tests. In fact, more than half the class created devices that did not pass the test. This was a challenging problem. only a story to share with their families. Was it too much for these little ones? there is safety in such numbers. Whoa, what went wrong here? If we made this device again, what should we add that would protect the egg? Why did [so and so]'s device keep the egg safe but this one did not? What is the difference between these? I want to believe that engineering is a safe, friendly, happy way to learn about failure. Oooh, that's a cool mistake! Did you see what happened there? seemed to understand that not every device would work. There is so, so much to be learned from failure - this is the best learning of all! 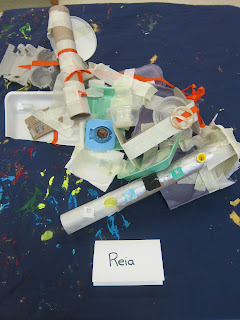 What might you do to make the project work next time?What do you think went wrong?What changes could you engineer to fix the device? How do we teach our children to persevere when we ourselves are so uncomfortable with failure? I know at least one family took their child's successful device home and repeated the test with a raw egg from their own refrigerator - How awesome is that?! I have a marvelous class of budding engineers! My Tuesday posts are typically for Two Writing Teachers' Slice of Life. Check out their website for lots of great reflections on teaching. Since winter break, it seems as if she has lost the ability to put on her socks and shoes. Others wake up from their naps and go right to it - throwing on their socks and shoes in an effort to get outside quickly. But not this little one. I watch her from across the room. She doesn't move the socks and shoes toward her feet. She doesn't move her feet towards her socks and shoes. She ignores them, although they are right next to her cot. In plain sight. Happy to just stay put. she needs help to put on her socks and shoes. At which point, I will remind her that this is her job. We talk a lot about trying to do things for oneself. It feels like a well-worn record to me at this point in the year. But today I cannot even catch her eye. I know it is time for her to join her classmates outside. to nudge her towards this small but overwhelming task. "I went to a concert one day and it was the same music, a girl had a cello, there were two cellos." Mozart has been playing quietly in the background, throughout her nap. Recalling Mozart from an earlier time. She hears something very special. while we listen together to Mozart. "...how can you help but grow wise with such teachings as these"
President Barack Obama's 2nd Inauguration and Martin Luther King Day, as well! "Find the good and praise it." "A great nation must care for the vulnerable." "Our journey is not complete until all our children know that they are cared for, cherished, and always safe from harm." "You and I, as citizens, have the obligation to shape the debate." "Our individual freedom is inextricably bound to every soul on earth." "One light, all of us, as vital, as the one light..."
"Hope, a new constellation, waiting for us to map it, waiting for us to name it, together." May I read them a book? Declan had finished his second grade math test quicker than his classmates. His teacher suggested he spend a little time with the Big Cats, while his classmates finished up the test. This is one of the silver linings of a preschool embedded within an elementary school, having older students come and visit us. We were just getting ready for Storytime. 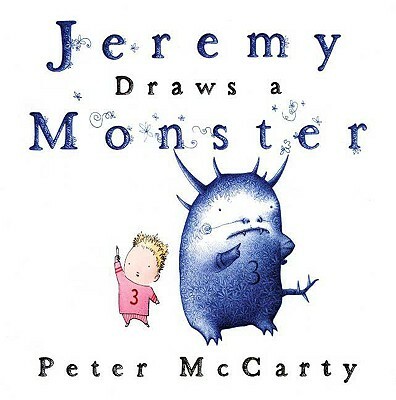 finding one of our recent favorites, Jeremy Draws a Monster (by Peter McCarty). I was delighted with his offer. I knew it would be wonderful for the children to have an older student read to them. "Oh, the children love that book! Yes, that would be great! You read to them first, and then we'll follow you with our special book of the day." He sat down in the reading chair and all the children quickly arranged themselves at his feet. He began to read, holding the book to face the children and reading the words upside down. He was, truly, a teacher. I was amazed at how transfixed the children were by his reading. There were none of the usual side conversations; instead, all eyes on Declan. The children were fabulous listeners. 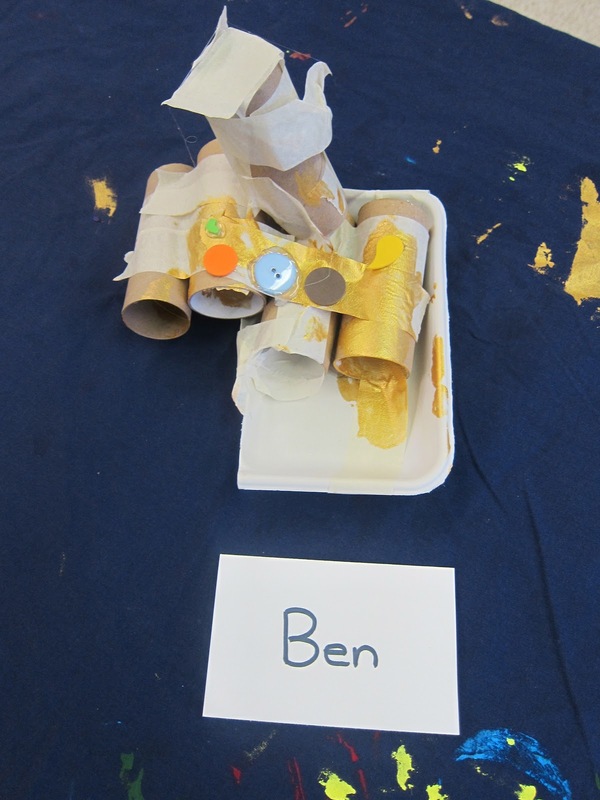 As this familiar story continued, one preschooler couldn't contain himself any longer and blurted out "He's going to make the monster go away!" and, the floodgates opened and everyone started sharing at once, wanting to tell Declan what they remembered from this favorite tale. Declan stopped reading. He stared at the preschoolers. Then, he slowly, without a word, closed the book, with his fingers stuck inside as a placeholder. This caught me so off guard - this perfect imitation of a teacher. I had to turn my head, to hide my smile and stifle my laughter at this delight. Yes, he was, truly, a teacher. "He closed the book!" one preschooler said, in alarm. "Read more! There's more!" one couldn't resist. Declan stared back, saying nothing. Assured that they were listening, he opened the book and proceeded to finish the tale. Oh, how I struggled not to guffaw! Later, he came up to me and said, "Ms. Ingram, let me share a technique I learned in my class - when Ms. Coleman thinks we are talking too much, she closes the book until we are quiet. Did you see how it worked with these kids, too?" "That is a very good technique. Thank you for sharing it with me. It is very hard to read aloud when others are talking, isn't it? Thank you for reading to the children, today. You, Declan, are truly a teacher. " What about those invention drawings? In my most recent post, I shared the children's fabulous inventions. But I didn't say much about the invention drawings. That's what this post is about! At the outset of our invention effort, I had the children sit down and draw what their inventions would look like - make blueprints. The children sat at tables alongside peers and drew pictures from their imaginations. 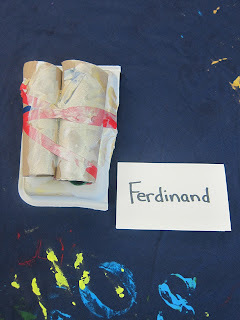 Many children drew hastily, rushing to get to other activities in the room. Was this too abstract a request? Had we not talked about inventions enough? 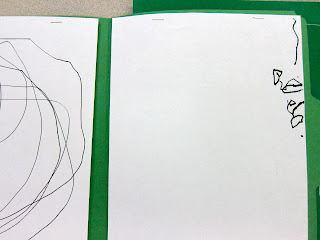 Were they not comfortable with writing/drawing (not an unreasonable thing, developmentally, for preschoolers)? 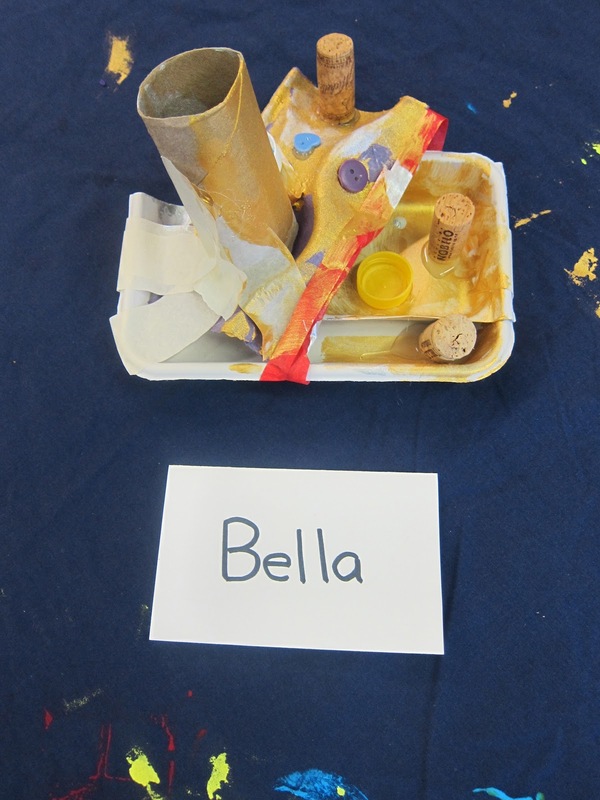 Over the next few weeks, the children constructed their inventions. After all was said and done and the projects made, for whatever reason, I didn't feel as if I had totally finished the effort. I wanted to do something else to conclude our projects, but what? I had a crazy idea. Or inspiration? 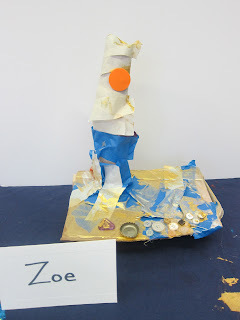 What if I had the children draw the invention again - now that it was done? Would there be any similarity or connection to the original drawing? What would the children see and do? Would the drawings look at all like their inventions? Study the final product and draw from observation. The children had been very engaged in the construction of the invention. Would this engagement carry over to their second drawing? Also, this would be a fun way to get a pen in their hand again, to see what they could do. 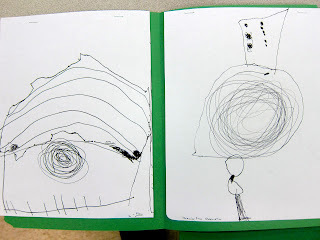 For the "after" drawings, I positioned each child in front of his/her finished invention and gave them the drawing paper and pen, asking them to observe and study the invention and then draw it. very few children raced through this drawing. Most stared pensively at their inventions and drew. They stayed at the table, engaged. Let me share some of the "before" drawings (the imagined invention) and "after" (drawing the final invention from observation). The "before" drawing is on the left, the "after" is on the right. I am not sharing any of the student names because I'm really not interested in comparing child to child...I want simply to show the change in these pictures, from "before" to "after." If I mixed up all the inventions and had nameless drawings, it would not be easy to match the drawing to the invention. But, for me, there is so much more to see! What do the drawings say about the child's focus? What do the drawings say about attention to detail? What do I learn about what preschoolers are capable of doing? What are best practices for stretching a preschooler academically, to nudge them to reach outside their comfort zone and learn something new? 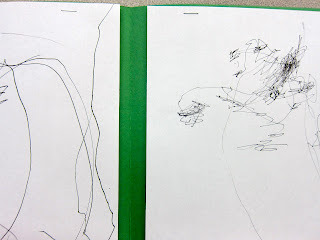 What does it tell me about challenging children to draw from observation? What does it reveal about the power of drawing one's own creation? Above: These two drawings couldn't be more different. The first is created hastily. But, there is obvious engagement in the second - focused drawing and re-drawing, as this student tries to record specific details of the final invention. 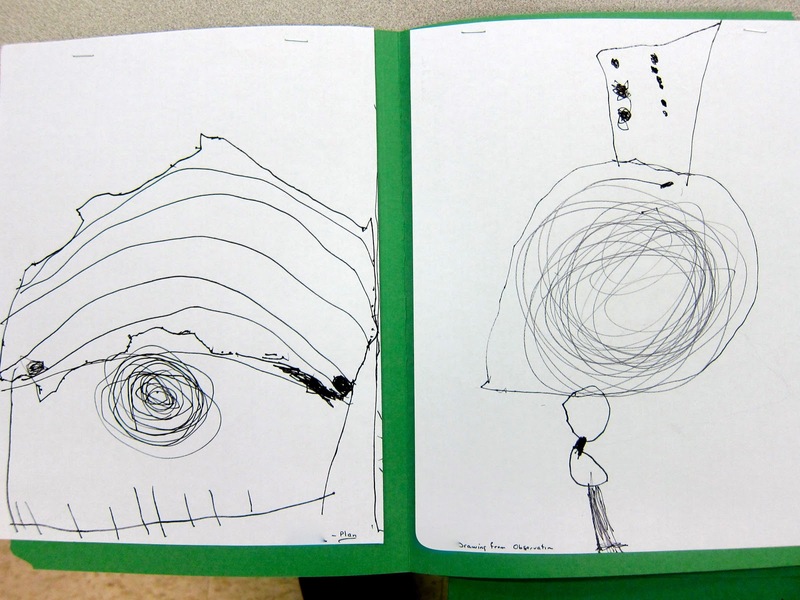 Above: This student has details in both pictures, but the second drawing shows much more specificity. Here, I am able to see the long cardboard tube section of the final invention, the billowy shape of another part, and the special buttons added for varied purposes. Above: Both drawings show focus and purpose. 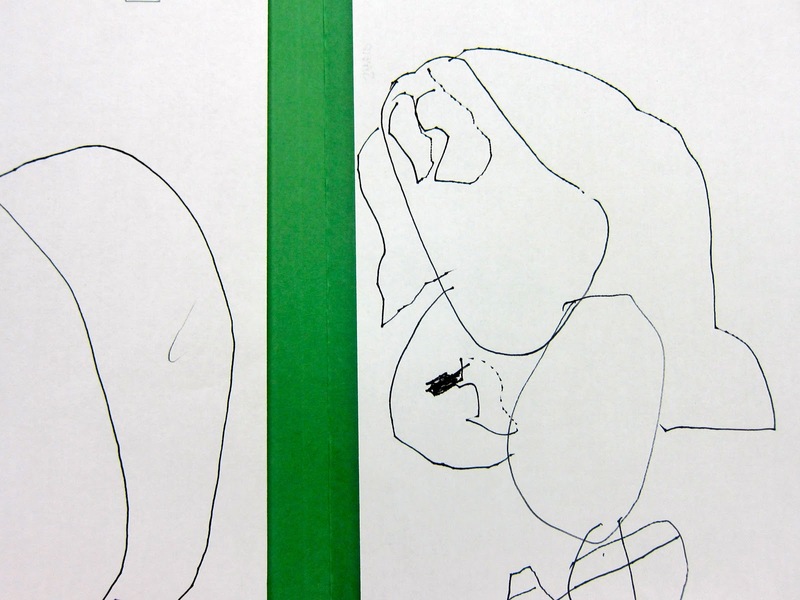 The heavier penstroke of this second drawing suggests that this preschooler was even more focused and engaged the second time around. And look at the details revealed - circles, squares, shadowing, all replicating parts of what the child observed from the invention itself. Above: What's going on here? The first, a rushed and perhaps unengaged effort; the second, more studied, trying to capture the shapes of the final invention. A big part of my job involves collecting data about children - for example, fine motor skills, use of writing tools, or cognitive skills such as attention to detail. Which drawing provides the better data on these? What if I had only looked at the first effort to make my assessments? How often have I collected data that shows only part of a child's knowledge or skill? Above: Again, a rushed effort for the "before" drawing; the second, more studied, trying to capture the shapes and outlines of the various parts of the final invention. 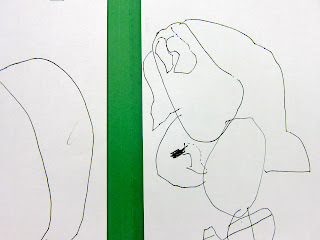 There is even more "weight" to the pen stroke, perhaps indicating the child's persistence and effort at replicating the details. Above: Here, the student almost froze with concentration in the second effort. It is small, but precise. I have the sense that this child was taking a big risk, trying to do something that seemed almost insurmountable in the child's mind - Bravo! Above: This student is a detailed drawer, in both examples. Yet, the second drawing is particularly focused, showing the shape of the final invention and adding specific details, including the netting used in the invention (center of drawing) and special buttons on one end of the invention. Above: I would be less than honest if I implied that every pair of drawings showed tremendous growth. Remember, these are preschoolers. 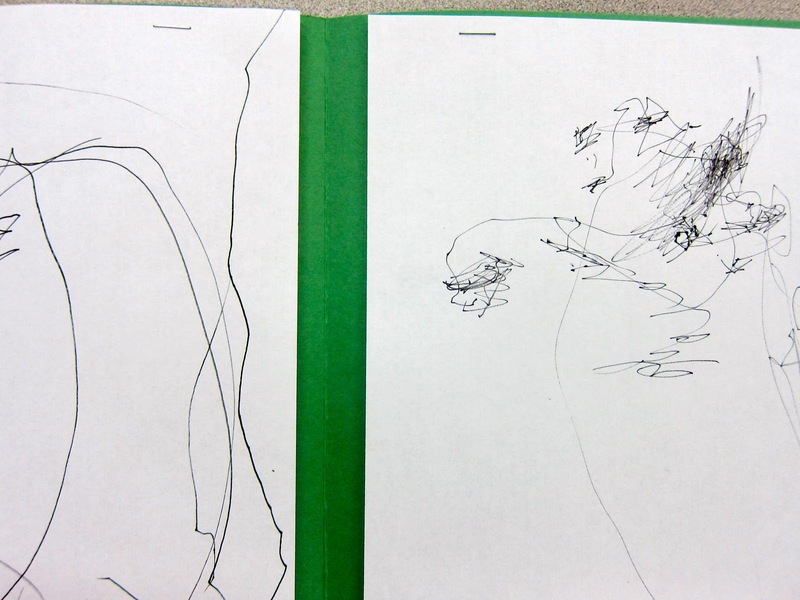 There were a number of children who had two pictures that were virtually identical, and basically scribbles. perhaps desirous and ready to do something else in the classroom, rather than draw. maybe these few just aren't "at" the drawing stage yet? What would happen if I provided more 'still life' opportunities? More opportunities to draw what we build? Making them a more ritual and expected part of our centers' work each week? Would it lead these more recalcitrant artists to "land" and "focus"? Did any children come "alive" when drawing? Show a new kind of focus? I reflected on each child's engagement during the construction phase of these inventions and contrasted it with the final step, drawing from observation. and I realized...wow, a couple children came alive during the drawing itself. 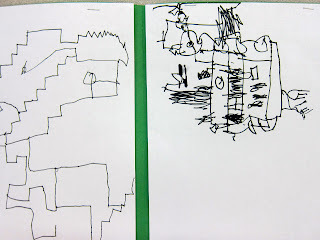 Whereas they had been rather "matter of fact" with the construction process, the drawing by observation stopped them in their tracks and had them totally lost in thought, working on recording details, oblivious to the rest of the classroom. Was it the special adult pen I let them use? Was it a kind of learning by immersion or a "wearing down" of the child? - "Oh, that Ms. Ingram, she keeps calling me over to pay attention to this thing, perhaps I will?" I don't think so. There was something much more magical and intoxicating at work - these children were engaged. Is there something more enticing about drawing one's own project? Does this make the most sense for a young child? Who loved the storytelling aspect more than anything else? Who couldn't stop telling me details and reflecting on their invention? Who had more to say? Who was immersed in the construction? Revisiting their project many times? Was there anyone who did not get engaged by any part of the project work, whether construction, storytelling, or drawing? How might I use these answers to inform my future planning for these preschoolers? simply by doing this invention work. I know them so much better now. Just like the children, I learn best by doing. My best curricula, my best learning comes from the risks I take. I had not planned to do this "drawing from observation" when I first set out to do the inventions - but I started wondering, what would they reveal? I am so glad that I dared. Inventing our way into the new year! 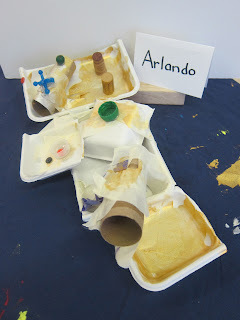 Let's kick off this new year with me sharing the children's inventions. The Big Cats had a grand time working on these in November and December. 1. Make a plan - decide what the invention would be and then draw a blueprint of it. 2. 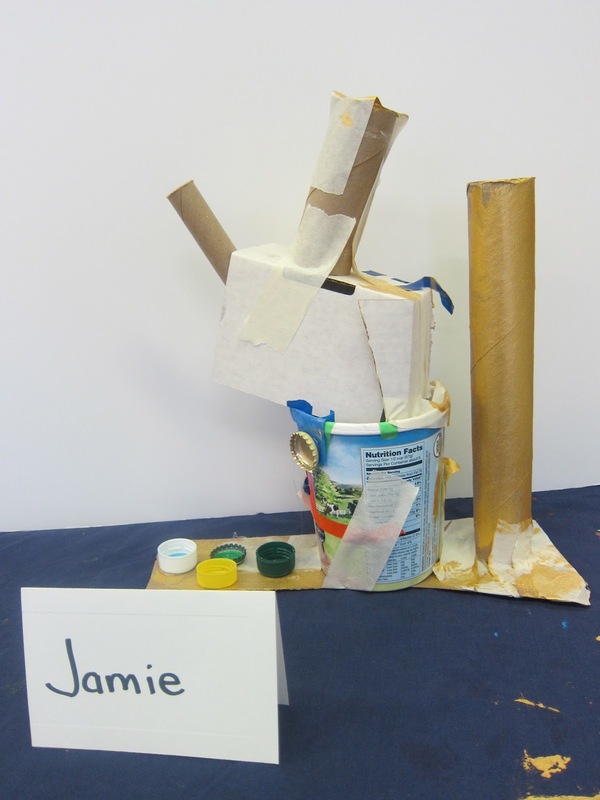 Build the invention with recyclables and tape. 3. Add details to the invention using found objects and metallic paint. 4. 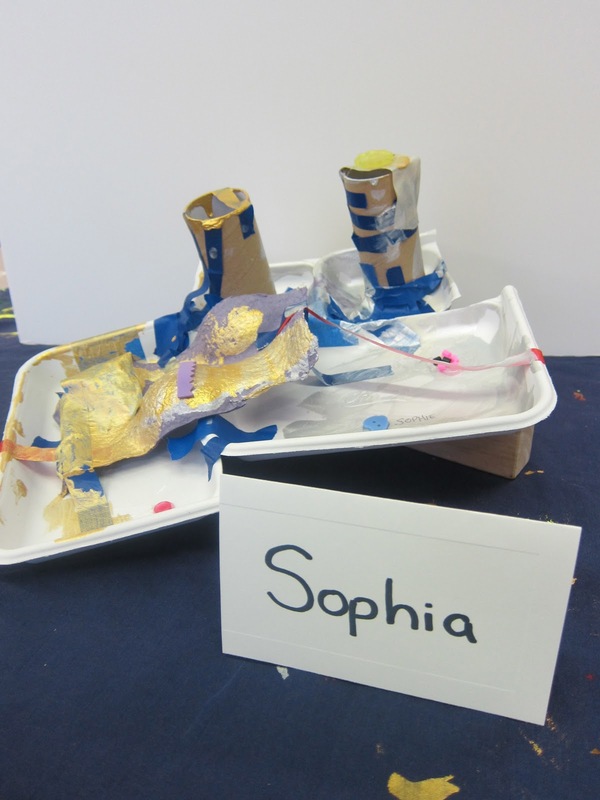 Share the story of your invention with the teacher. 5. Study the final product and draw from observation. This project work really stretched the children - and me! 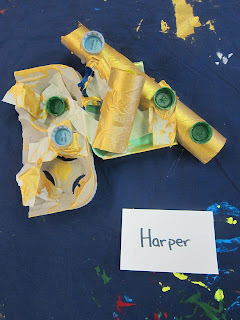 The children returned to their work again and again, learning a good bit - I think - about editing, modifying, and persistence. It was the first time that I had dared to go in so many different directions at once with these preschoolers, requiring different organization and planning than usual. Student work was at various stages throughout the classroom for weeks on end; some children were building, others painting, and some sharing their stories...different days, different goals for different children. The inventions were displayed for the children's families and our school community at our evening Learning Showcase on December 18, just before winter break. Let me share them here as well! I was originally going to just give you a brief description of the invention, but I can't resist sharing their entire stories. The children told these to me while holding their final invention in their hands, with me pressing them for more information about the purpose of various parts. The children were delighted that I was typing their exact words and then reading them back to them; with this personalized treatment, their details grew and grew. I needed several days just to get the children's stories, as I was only able to get a few a day. I also read these stories aloud at the end of each day to the entire class, getting everyone very excited about each other's work - and resulting in some themes being picked up by other children when it came time to share their ideas. I love the children's voices - the way they phrase things, the vocabulary they use, the long run-on sentences. I love their designs, the precision and artistry of their details, the variety of their ideas. I hope you feel the same way. It is a spider and it eats real food like people, it is friendly. These are his legs. Well, it can really move in a certain way. This thing moves like if we push all of these buttons like that, two times, it can move. If you push this button, it stands up like that. If you push this [the small button], it turns over. If you push this [bread tab], it stands on that one leg. If you push this [bottle cap], it jiggles. If you push this [the black cap], it stands like that and bends like that and turns over. If you push that [the red one], it stands and jiggles. If it turns over, up might get the spider on its side. A machine that goes backward and forward to escape from monster. This is the smoke hose. The blue [jack] makes it fly and the green makes it go backwards. There are two levers. He can go forward and sideways. This one with lots of things makes it jump and that one [small black one] makes it grow hands. The green cap, that one makes it jump. An elevator that goes up and down, up and down, and people laugh. This elevator has two big seats so that people don’t fall. If you press this button [cork] it goes flying. If you touch this one, you get lots of cupcakes and then you have a big party. When you press this one, it comes out with spaghetti. The heart button comes lots of pictures. The purple one does lots of sunglasses. The people sit in there [the yellow cap]. And they can sit in this one [the white cap], too. The tall part helps people hide away from big giant mean monsters. There is a space under there where no big giant bears and mean bears come. And that’s all my story! And then they crawl there and a rocket comes out and they go back home. But there is just one more thing I have to tell you. Lots of things come out and there are lots of houses for everybody. And if you press that button there, there comes lots of beds. The End! It is a train that does not crash, it just puffs a lot. I got rolls for tracks. It runs with air, so it doesn’t crash. The yellow thing it goes around the corner and follows the train engine. The brown circle goes around the bend, and it fell down. The orange circle goes up the hill. The small green thing puffs around the bend. Here’s a giant button. The giant button tries to fire the engine. It puffs around the whistle. And it crash the whistle down! A good monster that protects; a nice monster – he protects people from bad monsters. This part protects from volcanoes. They go under here and up here and the volcanoes can’t get them. This part up here can dong, dong, jumping, people can jump up, but it is not for superheroes. This part is for superheroes to climb on with their sticky hands. This button can go around and spin people, keep from getting twisted and turned, and from getting bruised. So, right here, this button, can sing with voices and right here it can look with its eyes and get new eyes. This thing can keep you from getting hot if the sun is burning you. So, right here, it can make him fly all the way up to the air and it can smash through big, big, big, big, big spaceships that can go slower or faster. How it gets people from the bad monsters, it runs and runs and it scares them. And the people get happy. And then they live happily ever after all together in the monster’s house, with the Mommy monster. And you know where his shoes is? Right here, under! He has too much shoes! A special machine that makes “M” for Miles. * The key makes it go up into the sky and to outer space and flies. Outside. These put it up into outer space up there. The pink thing makes it push up and go right here. M-I-L-E-S, Miles, these red things make it on the table. The green things make it go under the table and on the floor and out the window and out the door. And Miles will be tired out there. I saw Miles out there! I am done. A car, and it drives by itself. The people just sit in the seat and it drives on the road. I need this flag and wheels for my car. This yellow button is going to drive. These are the wheels, and this is the flag. Ok, the green ones give bread and macaroni and cheese and some sandwiches to the people in the car. And it shoots some peas! A robot that can cook. No, it is a ninja ship. The circle, it pops up pencils. So the ninjas can draw. The round thing is the table. The three levers pop out. There is a place for them to sleep. And the ninjas hop out in here and then it is sleeping time. That thing can hide. And it flies. It has a dragon’s face on it. There is one more lever that will punch people if they are bad. The levers are also things to jump on. Only ninjas on it, they jump. A special boat that doesn’t bump into rocks. These buttons, I don’t know what they do. The big button, it does bump into the rocks. The people sit here. These are the boat sails. They are gray. People climb on this part. And they play with these [the buttons]. They play games. My story is done. A truck, it is a firetruck. There is an airplane that is not on the firetruck, it is on the airport. This is, they got food and everything. That’s a water firetruck. The water comes out underneath here. The green button does, when the driver pushes that button, the truck goes forward, it goes. The driver sits on top of the button. New and fabulous is that it is a little bit painted, because the dry cleaner cleans the truck off. To clean himself, he cleans at the drycleaner. A helicopter that flies to space. It can’t fly. If you push those two green buttons, they will shoot out candycanes. If you push this button, it will shoot out mac and cheese. And if you push this button it will shoot out grilled cheese. And if you push this button, it will shoot out some honey. And the other, if you push that one, then all of the stuff will ...ummmm... you can shoot out paper bag. This hiding button, it shoots out sandwiches. The people go right here when they are ready to eat. They sit right here. It is a protect machine, protects people from evil villains. If the villains see this and they get close, it will scoop them up. If I put tape over it, they can’t tell what it is. It actually catches the villains first and then rockets up into outer space. See these holes right here, they are how it blasts, and the other end doesn’t let the bad guys out. And I have radio-control, it makes it up and down, back down to earth. The lever, when you push it, it’s how you scoop the bad guys. Actually, it just throws them. The white button makes it actually walk over to the bad guys and they don’t want to go. The bottle cap is the button you push first to walk. A machine to help doctors, and help boys feel better. The tall part shoots out cupcakes and noodle thingies. That button helps shoot more noodles for the doctor, for the boy to have. This button makes more cupcakes and noodles. That one can shoot breakfast. That thingie, that button, it shoots beds. That button shoots more beds. And that’s the end. And that button makes it fly, to put some more noodles in it. And more beds. A special tube that makes your voice louder. When you push the red stick, power rangers come out and fight the bad guys. When you pull up the blue, I don’t know. This [cotton] is so it won’t poke you. It is soft. The blue soft stuff is so that the glue won’t burn you. The bottle cap, when you push it, makes your voice louder and louder. Like this, “Hello!” See, that’s how it works. And it is bended. A car that kids can drive and takes him home fast. These go here. I press it, I drive. It drives like this. I press this one and this one. Because I didn’t drive that. I paint that. The kids sit right here [by the green button] and the kids right here [on the edge]. The door is right here and right there. The kid makes it drive over. He presses that one [the orange one] and that one [the silver one]. That one is not broke. Daddy got a new car! An airplane that can go to space and go inside of the moon. The cups for space rocks are for protection. This is how it flies. The yellow button makes it go all the way up into the moon. The green one makes it go lower and lower and lower. The blue fish button makes it go into the ocean. It floats into the universe. These, the acorn, makes it and turns it into a box, because it has to do this in order to go down and then come up. This button [large, peach-colored] on top makes it turn and twist. This [tall white] one makes it go farther down. This [tape] makes it jump on top. They sit right down here. A special airplane that goes through storms and lightning and keep people stay safe. The yellow part sits on top of the people, it’s not a blanket, it is a cover, and it keeps them warm. You got to run it fast. The jet planes are bad and the button on back stops the jet planes. The button on front breaks the storm. A lot of water and orange juice comes out of it – that is so scary. The people sit down here, on the bottom. It goes fast, like this – vroom, vroom, vroom. The front part turns the airplane around, like this – vroom [hands move in circle] – and you have to go super fast to the airport then! It is two train tracks and the train does not need a driver, it just moves itself. The front part, whenever it needs a wheel, it gives one to it and then it drives. Over there, is a circle for everyone to sit on. It [the acorn] is for growing a lot of acorn trees, for the squirrels that live there. It [the fuzzy part] is for when someone needs to get inside and get protected from planes that are flying onto the train! And then when the airplane lands on this, it, the train, just keeps going and lets the plane ride on it. The people sit on the circle. I think I need more things on here! This lid here in front will move the wheel off the train! And it [gray lid, near the circle] makes the sun and water come squirting out onto the acorn, to make the tree for the squirrel. It [green lid] moves the people very quickly from here to there [fuzzy part], so that they don’t need to run or walk and move quickly. And that’s the end! An airplane where people can tell the pilot where they want to go. When you push the button on top, water comes out. When you touch the little one, it sprinkles food out. And the other one [oval] sprinkles tables out for the people on the plane. The buttons on top, these are the same ones; the green one is the same one as the red one. Inside, so when he sits on it, it makes noises – funny – like “eeek!” The people sit inside of this long thing, this is the airplane. Mine goes through rain, to take people home. A machine so people don’t get rain in a storm. If you touch the yellow button, then it goes up into the rain and touches the rain clouds. It turns the rain off. The heart is just for putting on it so that the cloud and rains can go away. The little things are all together, so that the bad guys stay away when a storm comes. The purple thing is from a bad guy, they didn’t want to stay, and it came off the bad guy. A zombie that protects you from volcanoes and tornadoes. People can jump inside to hide from volcano. This is how it flies. This circle, they jump inside and then they come out. If the lava comes into there, if the lava touches the glue part, the lava is done. The tornado, if it comes, jumps from here to here to here and then it disappears. The people jump into there, down under. That is a hide place, too. I’m inventing it to stop my Dad from falling. You draw little things and some big things. They catch him. No, I invented a building. If you press this button, then it will turn out cupcakes everywhere for everyone, this button with the gold. If you press this button, it will come pumpking rolls. If you press this one, the building will look like outer space. If you push the square button, moo muffins will turn out everywhere. To get your designs out, this is a thinking cap. And if you press this really huge one, everything will come out water! The triangle one helps you if you are feeling sick, or if you have a cut or a sore. This [orange] button helps if you are in trouble. If you press some of the buttons, it will become a rainbow. And this one, a train will come. And, this or this or this or this or this, it will become a tyrannosaurus and dinosaurs. They live in it, they look at it, they get things from it, and shop in it. They do alot of things with this building. Well, those are the Big Cats' inventions! 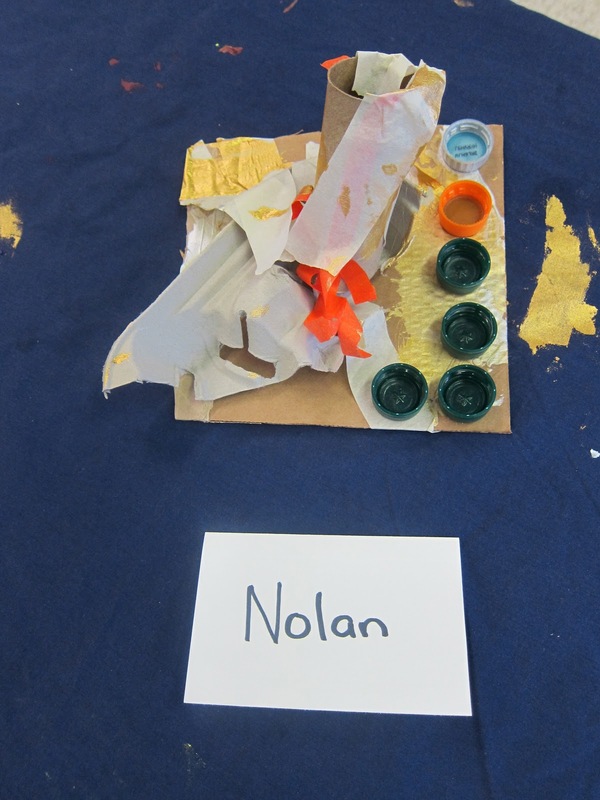 Now you know what preschoolers are thinking about - airplanes, cars, outer space, bad guys, volcanoes, and cupcakes! 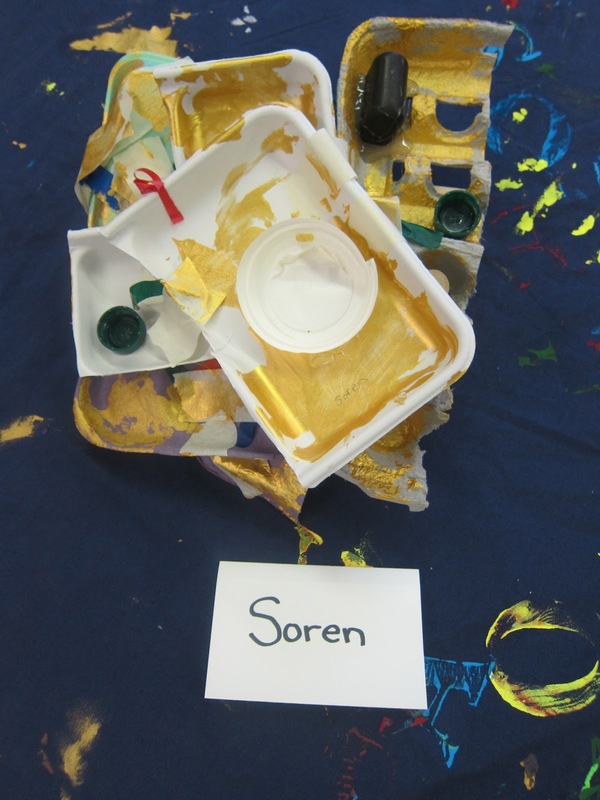 May your new year be filled with compassion, hope, joy, and creativity!